Before you start your degree, familiarise yourself with our information on intellectual property and ethics, biosafety and integrity. To stay up to date with the latest news, sign up for our Graduate Research Scholar newsletter. Understand your graduate research degree options and find scholarships. PhD and Master's by research degrees may include publications, or may be in practice-based modes. All La Trobe graduate researchers are encouraged to publish their research, throughout their candidature and on completion. There is therefore no separate "thesis by publication" mode to choose on commencement – just do it! Any number of your thesis chapters can be submitted, accepted or published in journals. Which publications should be included? You should discuss your plans to include publications in your thesis with your supervisor early in your degree. Your supervisor will help you determine how to combine any potential publications with the rest of your thesis and what constitutes sufficient output in your discipline. Papers that do not link directly to your research topic, or to which you have not made a significant contribution, can be included in a list of other publications elsewhere in your thesis. 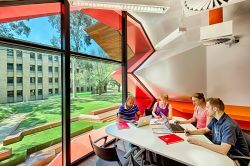 Publications submitted or published prior to commencement of candidature cannot be included unless this work was undertaken during a degree at the same level at another university from which you have transferred to La Trobe. How many published works appear in your thesis will depend upon their significance, originality, length and disciplinary differences – discuss this with your supervisor. You will want to take into account the volume of published & unpublished chapters; the framing material; and your contribution to the publications. You will need to include the full publication details (if published) in your thesis and/or include a contract/acceptance from publisher in your appendix. You will also need to acknowledge the extent and nature of your own contribution to any jointly authored works and provide verification from co-authors, endorsed by your supervisor, when you are ready to submit. You should also acknowledge your supervisors in the ’Acknowledgements’ section of the article and state specifically in the article that any procedures were approved by La Trobe University Human Ethics Committee, together with the ethics approval reference number. Normally publishers will allow the use of published material in a thesis and many permit its use in the publically available copy of your thesis – check the details with the relevant publisher. Re-use rights will generally be described in the Copyright transfer agreement/License Agreement / Author agreement that may have been signed when the publication was accepted. If your publications have been accepted when you submit your thesis, the examiners will not request any changes to these. They may, however, request related changes to unpublished or framing material. You may also submit for examination work which has been submitted, but not yet accepted for publication. The examiners may request amendments, which you will then need to make. If this is the case, you will need to request permission from your publisher to include the amended work in Library Repository; we may also be able to include a redacted copy of your thesis in the repository if required. Practice-based research can be undertaken in any discipline – from the humanities and social sciences to science, technology, engineering and medical sciences. At La Trobe, the majority of practice-based research takes place in the creative disciplines. A practice-based research degree, whether a Master’s by research or PhD, is primarily a research undertaking. You will produce a “research artefact” along with a critical research component, such as a thesis or exegesis. The artefact and the critical research component represent complementary outcomes of a single research project. You may produce a single piece of work such as a documentary, a film script, novel, website, screen works, installation, a manual or tool kit for an art therapy procedure, a digital art therapy program or a software program; or a combination of multiple works such as an exhibition of paintings, poetry, theatre pieces, a series of audio productions (for broadcast or podcast), exhibitions or other outputs. The general purpose of the critical research component is to address the research aims employed when creating the artefact from an analytical perspective. Depending on the discipline, the critical research component may be called an exegesis, critical commentary, thesis or critical research component. You will need to advise a shorter word lengths and information on how the components are weighted in the abstract.